From 27 September, Koleje Mazowieckie passengers can purchase a range of tickets through their mobile phones. The new facility means that passengers will not have to queue up to purchase tickets and KM will not have to maintain expensive ticket offices at locations where the economics do not justify it. The new facility is not quite ‘wash and go’, but the elements that we have been able to test seem to work quite well. The simplest mobile payment systems work on the principle of premium SMSs. Say you want to park your car in a mobile-payment enabled car park. You send an SMS with the registration number of your car and the length of time that you wish to park to the car park operator. The car park operator’s billing system tells your mobile operator how much to charge you. (There are simpler variations on this theme!) The mobile operator adds the cost of your premium SMS to your monthly phone bill and shares the revenue with the car park operator. The problem in implementing such mobile payment systems in Poland is that Polish mobile operators want to keep a very high proportion of the transaction revenue. This may not be so much of a problem when premium SMSs are used to vote by hundreds of thousands in TV talent contests, but a serious barrier for implementing mobile e-ticketing systems. The KM system works differently: instead of relying on premium SMSs, it works on the principle of ‘an electronic purse’ operated by Mennica Polska S.A. in association with SkyCash. The intending ticket purchaser downloads a simple application into his smart phone and then completes a registration routine. When tested by us on an iPhone, this worked reasonably well, apart from a couple of bad screen prompts which necessitated a spot of creative guesswork. Once the registration is complete the ticket purchaser is allocated a personal bank account which must be topped up with credit before any tickets can be purchased. As electronic bank transfers can take up to three working days, the system does not lend itself for once in a while ‘on impulse’ journeys. But for regular KM travellers like W-wa Jeziorki publisher, Michael Dembinski, the new system should prove a boon. We look forward to hearing user reports from KM passengers and testing the system ourselves shortly. Some Polish friends thought that the death of the Smigiel Railway as a working railway (and maybe its complete death) deserved a little more publicity than the ‘birthday party’ being organised by Smigiel Town Council. Accordingly they drafted an obituary notice to appear in the pages of the local press. Here is the text translated into English. 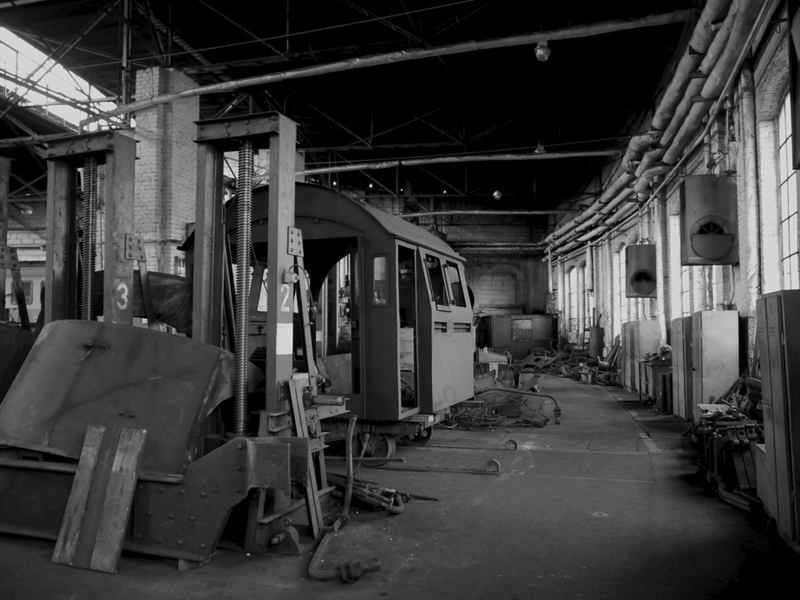 We announce with great sorrow the passing away of our narrow gauge railway in 2011. 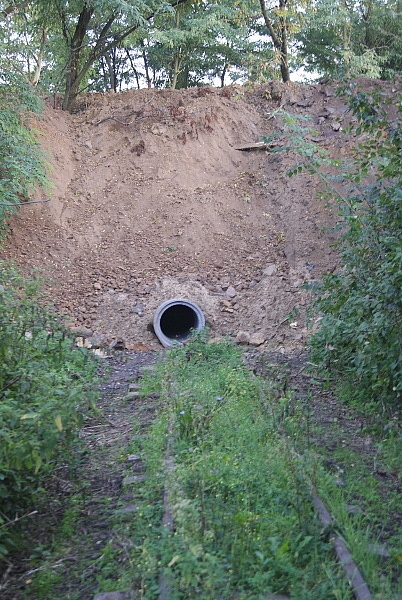 The line suffered a long illness caused by the lack of interest shown by local government. It was betrayed by politicians that had pledged their love and fidelity. Its monument was set up in Stare Bojanowo by Smigiel Council. 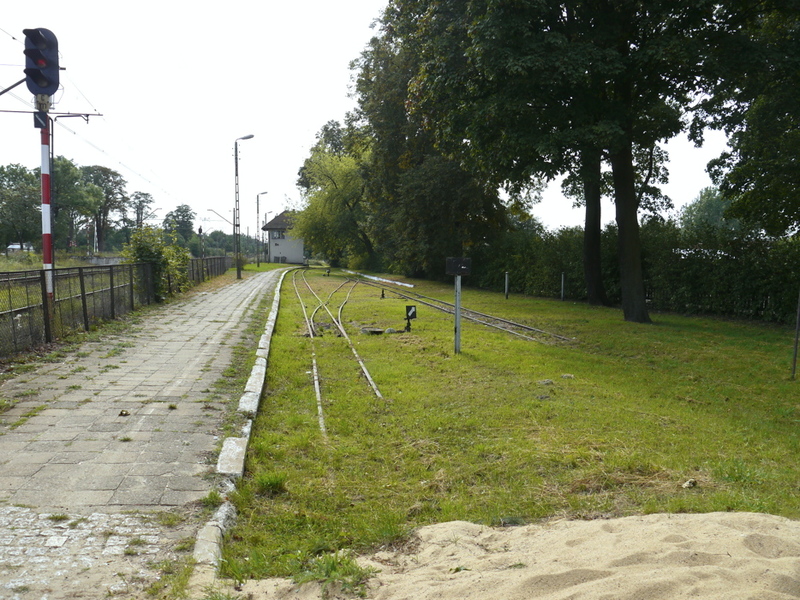 Here the oldest surviving section of track was dismantled and buried deep in the ground. 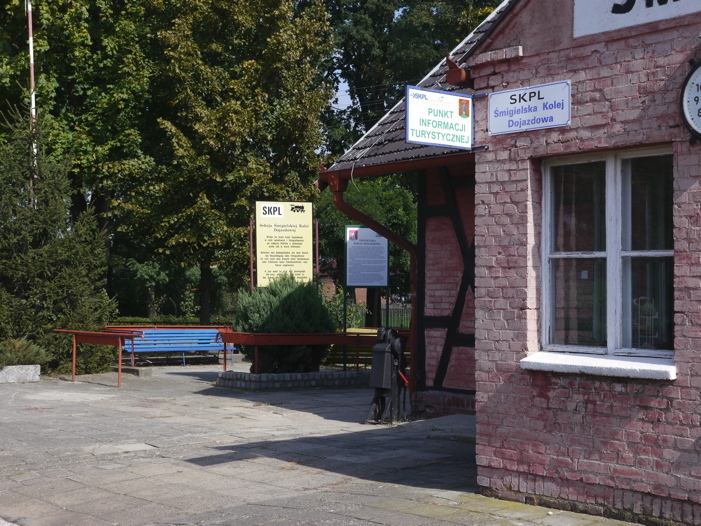 The friends of the Smigiel Railway in Poland and abroad. Sadly both Glos Wielkopolski and the Wielkopolska edition of Gazeta Wyborcza refused to publish the obituaries. So perhaps the death of communism in Poland has been celebrated too soon? 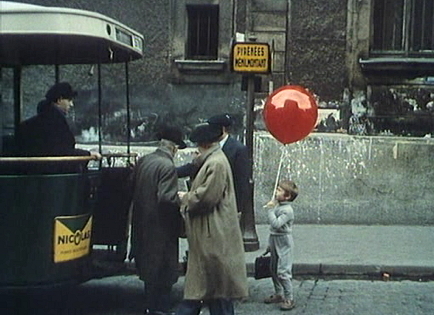 A second still from The Red Balloon. 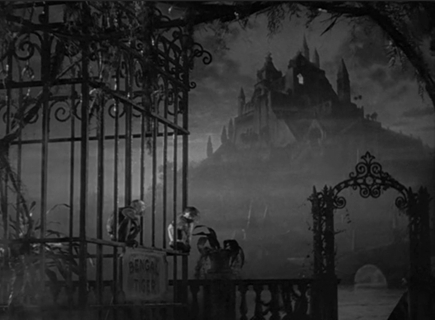 Today’s film is another great classic and that is the only clue that I am going to give you! Does a retired railway employee still cut the grass? Stare Bojanowo Wask waits patiently for its next train, but Smigiel Council has decided to abandon this section of line. Photo BTWT. 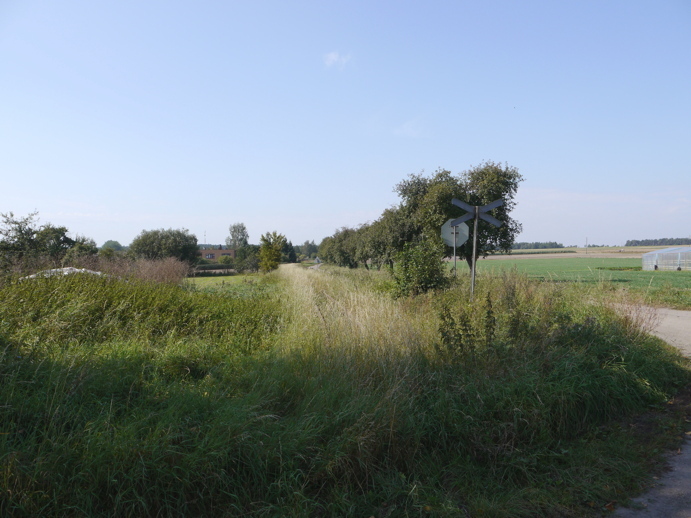 In order to save a small wayleave payment to PKP, Smigiel Council has abandoned the passenger main line beyond the semaphore signal and blocked the line to the PKP interchange on the right. Photo BTWT. 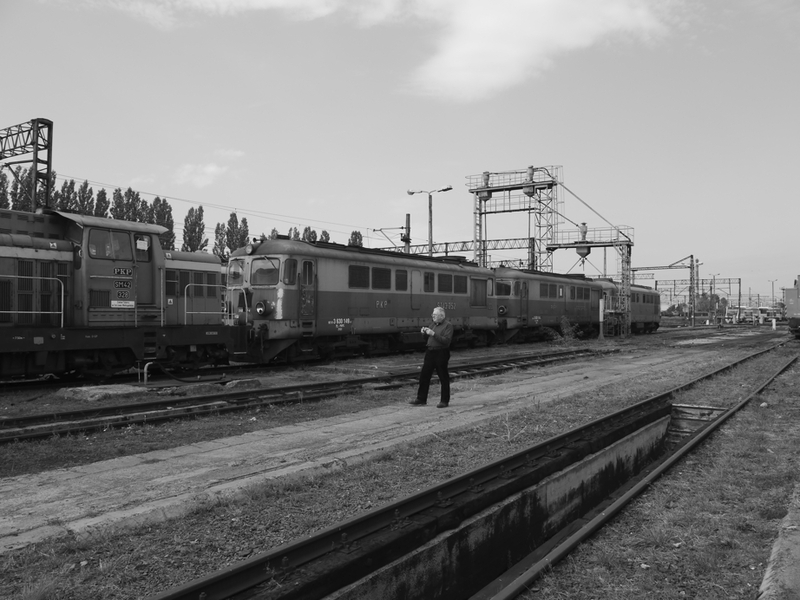 The new railhead – Stare Bojanowo Miasto. Photo BTWT. Beyond the new railhead looking towards Smigiel. Is the track being used for grazing cattle? Photo BTWT. The track is still visible here, SKPL had this section of track raised and relayed. Photo BTWT. 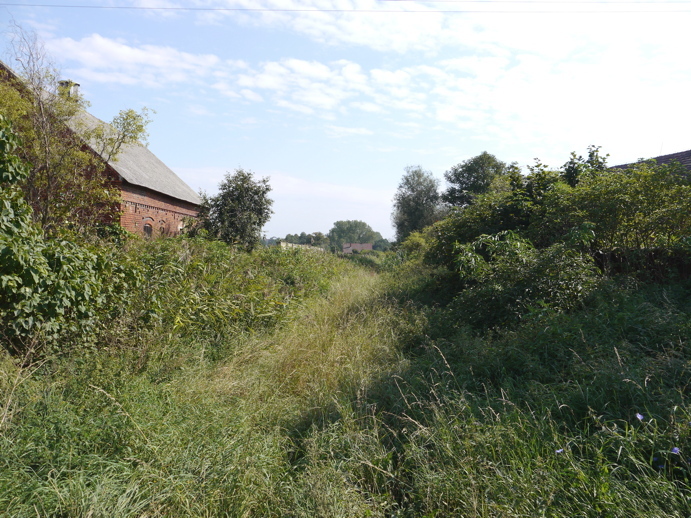 Looking back towards Stare Bojanowo, the track is overgrown beyond the bridge. Photo BTWT. Would you guess that there is a railway under all that grass? Most of the line is heavily overgrown. Looking back towards Stare Bojanowo. Photo BTWT. The same place looking towards Smigiel. Photo BTWT. Thanks to the lobbying of SKPL and local management a new bridge was built here to accommodate the Smigiel by-pass across the railway. Photo BTWT. Sadly Smigiel Council seems to have less interest in maintaining the integrity of the railway. Photo BTWT. At Smigiel the Council carefully maintains the impression that nothing has changed since the line was run by SKPL. Photo BTWT. Even the signs remain the same! Photo BTWT. 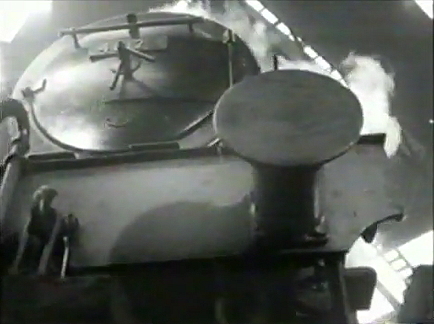 Another still from the Ealing Studios comedy, The Titfield Thunderbolt. The branchline loco is a 14XX class, ex GWR 0-4-2. 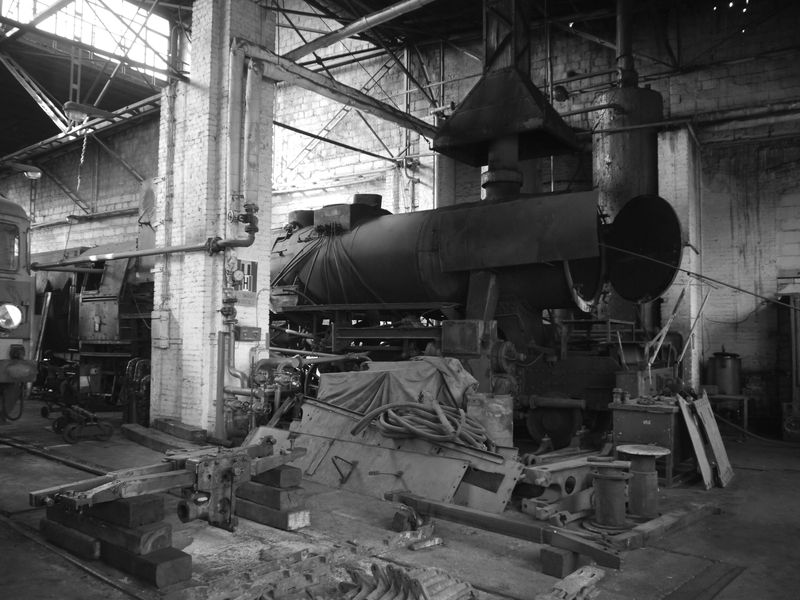 The coach – which was scrapped shortly after the film was made – was from the Wisbech and Upwell tramway. BTWT’s readers are avid movie enthusiasts! 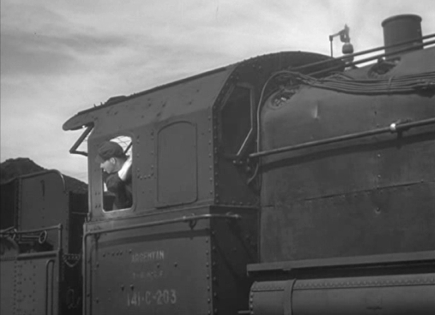 No less than 9 of you correctly identified the last mystery picture as being a still from The Titfield Thunderbolt. Congratulations to Mark Judd, Adrian, Rick Degruyter, Tim Sparks, Podroznik, Gavin Whitelaw, Steve Reynolds, John Savery and Mike Winslow for being right. Mike Winslow was first, so he gets the point. 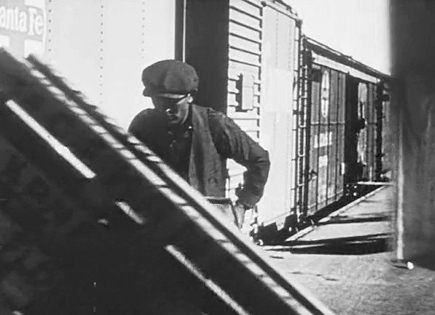 So far we have three people – all with one point – vying for the lead: Alex Fitch – Oh Mr Porter, Gavin Whitelaw – Monsieur Hulot’s Holiday, Mike Winslow – The Titfield Thunderbolt. The Titfield Thunderbolt shows the British ‘never say die’ spirit at its best. I know of at least one railway society struggling to save a branch line somewhere in the south of England – which whenever things were going particularly badly – used to screen The Titfield Thunderbolt as a morale booster for their supporters! A copy should be in the library of anyone who is fighting to save a branch line. A copy on DVD can be ordered via Amazon UK for only £5:15 by clicking the link below. Well it is time I started getting some wickets so I have decided to bowl a googly. 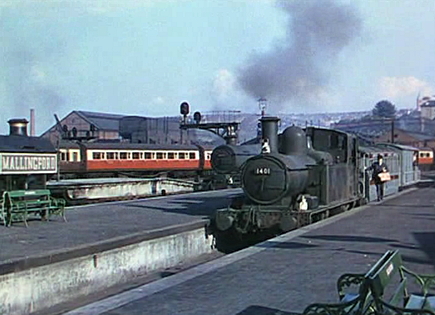 Once again this is a classic film, well-known to cinema buffs, but largely unknown in railway enthusiast circles. 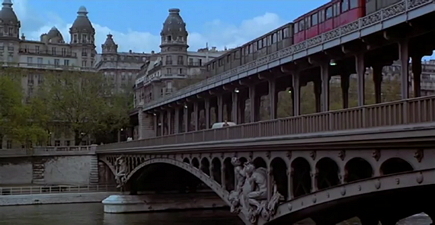 The still shows a train running under a bridge in some continental city, two seconds later a boy runs into the shot with a ….. ….. . The missing words constitute part the title of the film less the definitive article. 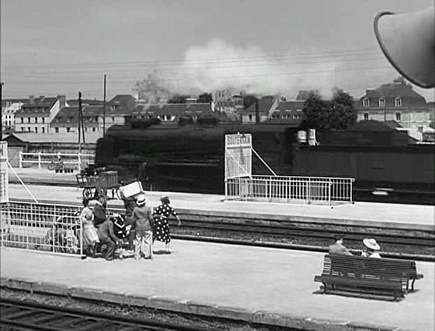 Another still from Jacques Tati’s Les Vacances de M. Hulot. At first, Monday’s still stumped everybody! But then, to be fair to BTWT’s readers, it was from a rather uncharacteristic shot that only lasts a few seconds. A day later, the answers started rolling in. 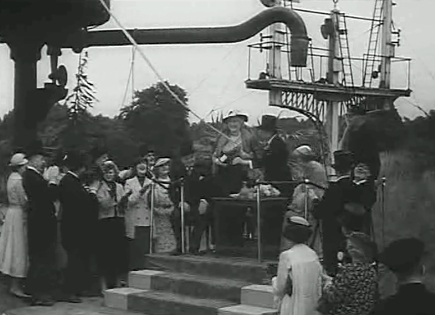 Gavin Whitelaw and Mike Winslow correctly identified the still as being from Monsieur Hulot’s Holiday. Above is another still with a typical incident from this very funny film. Gavin was first with the right answer, so he takes the point. If you have not got a copy of Monsieur Hulot’s Holiday then you may be interested in buying the film. It has recently been digitally remastered by the National Film Institute and is available from Amazon UK for £10:93 (including delivery in the UK). Buying it by clicking the link below gives BTWT a small percentage of the proceeds. Judging how well BTWT readers have coped with quite obscure films, the next still should produce dozens of correct answers. If you want to take part in our competition, and can identify the film from the still below, then post the answer as a comment as quickly as you can. Today’s mystery film should be easy! The new Stare Bojanowo ‘bridge’. Photo Albert Mikolajczyk. If anyone doubts the need to defend the Smigiel Railway, just look at the photo above. 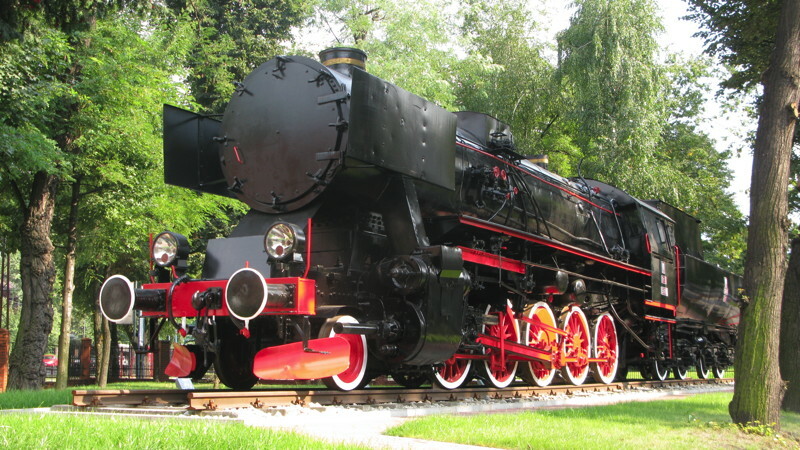 Although I live in Great Britain, I write as someone who regards himself as a friend of Poland, the Province of Wielkopolska and Wielkopolska’s railway heritage. 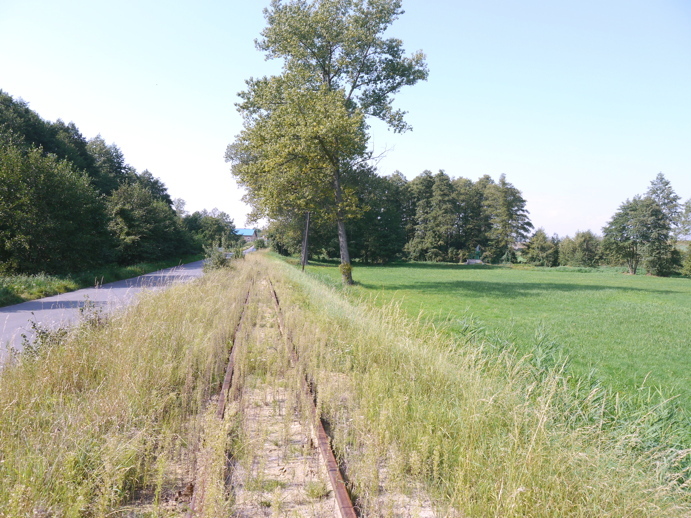 Over the years, I have visited the Smigiel area over a dozen times to photograph and ride upon the narrow gauge railway which today still survives between Wielichowo and Stare Bojanowo, but which – as recently as the 1970s – ran as far as Rakonowice and Krzywin. It is with great sadness that I have watched the decline of the railway in the last few years. 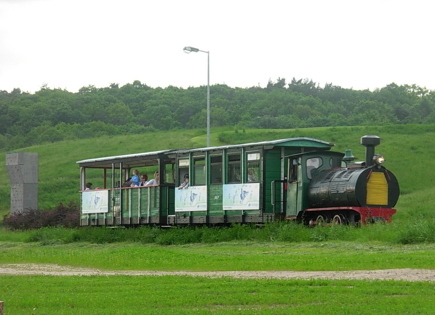 It was the last survivor of Poland’s once extensive narrow gauge railways which continued to operate an all the year round passenger and freight services. Sadly, Smigiel Town Council seems not to know just what a precious asset it has in its custody. 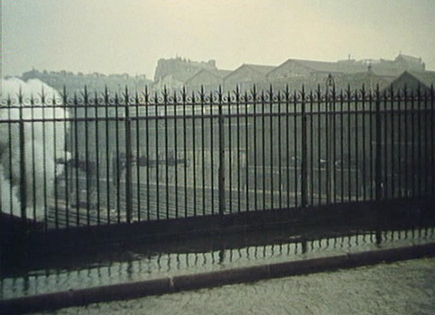 During the period that the Council has been responsible for the line, not only did it not invest any of its own money in its operation and conservation, but rather tried to sequester as much money as possible from the operating grant generously made available by the Chief Executive’s Office for other purposes. Their financial shenanigans have driven away the line’s operating company, SKPL, who were willing to run the line at a very modest cost. They have closed the popular refreshment rooms at Smigiel and turned them into a police station. 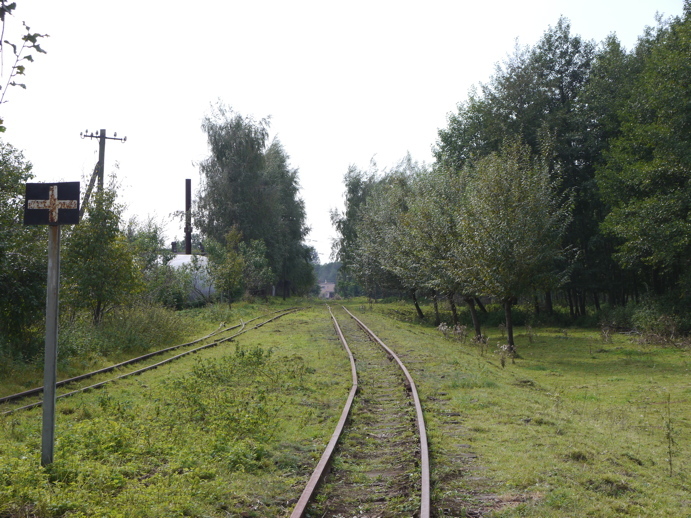 They have filled in a cutting thereby blocking the railway’s freight connection to PKP preventing the transfer of steam locomotives by rail. Steam traction on the Smigiel line has been in previous years a great crowd puller. They have abandoned a key section of line linking the Smigiel Railway with the PKP station making it much more difficult for elderly or disabled people to access the line in the future. 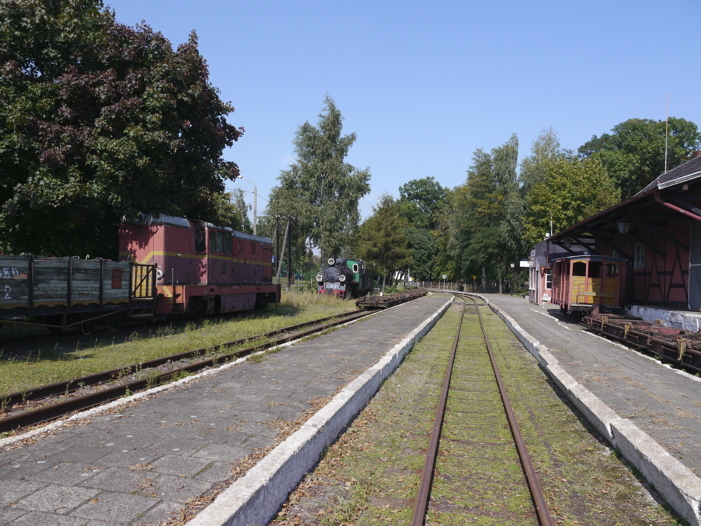 Over the years the office of the Chief Executive of Wielkopolska province has taken a leading role in sustaining and developing Wielkopolska’s railway heritage. 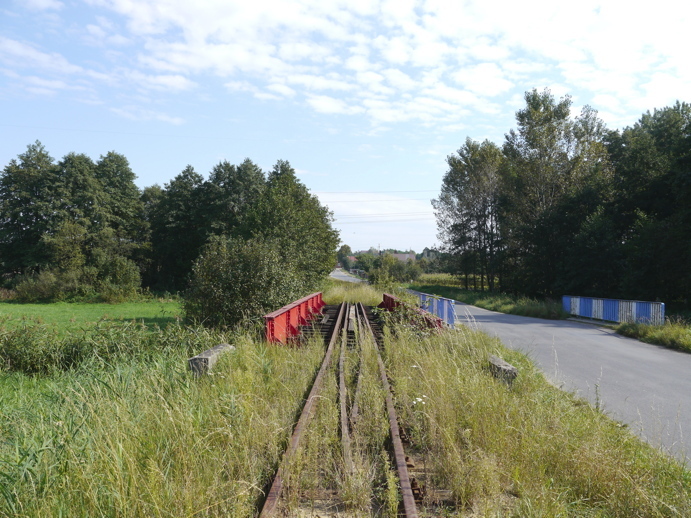 I understand that, even though this year no trains are running at Smigiel, it gave the Town Council a 60,000 zloty grant towards the upkeep of the railway. Sadly there is very little evidence that it is being spent on the line itself. Perhaps it will be used to fund the ‘party’ the Council plans to hold on the occasion of the line’s 111th birthday? I and thousands of other industrial heritage enthusiasts around the world respectfully ask you to use whatever influence you can bring to bear to persuade Smigiel Town Council to safeguard and develop this precious asset. This slightly reworded letter will be sent to the Province’s Conservator of Historic Monuments. Please write and mail your own letters. Again, please do not copy the above letter exactly, but by all means use it as a base which you edit to reflect your own thoughts about the line and its historic significance. I write as someone who regards himself as a friend of Poland and the Wielkopolska Province, although I live in Great Britain. 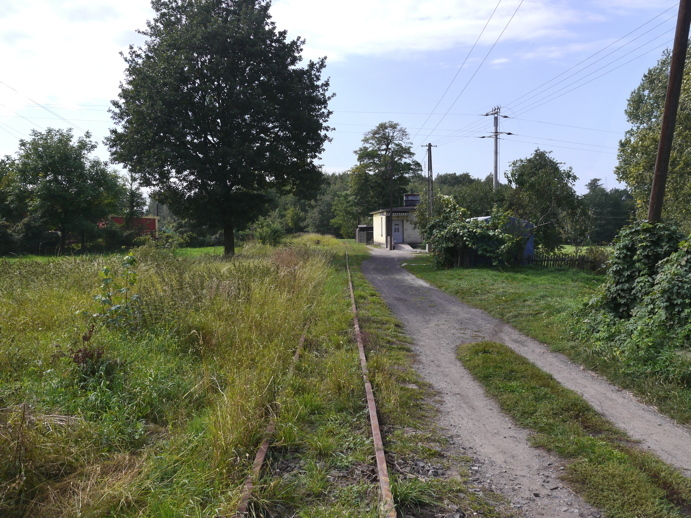 Over the years I have visited the Smigiel area over a dozen times to photograph and ride upon the narrow gauge railway which today still survives between Wielichowo and Stare Bojanowo, but which as recently as the 1970s ran as far as Rakonowice and Krzywin. It is with great sadness that I have watched the decline of the railway in the last few years. It seems that during this period Smigiel Town Council did not invest any of their won money the operation and conservation of the line, but rather tried to sequester as much money as possible from the operating grant generously made available by your office for other purposes. 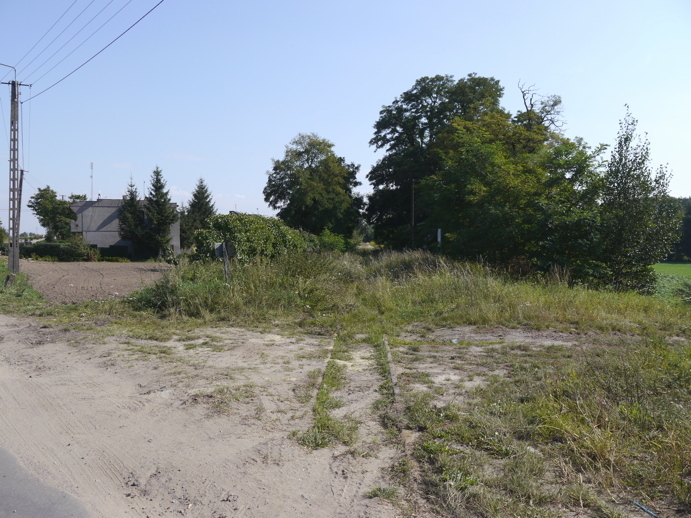 They have blocked the railway’s freight connection to PKP preventing the transfer of steam locomotives by rail. Steam traction on the Smigiel line has been in previous years a great crowd puller. They have abandoned the section of line linking the Smigiel Railway with the PKP station making it much more difficult for elderly or disabled people to access the line in the future. 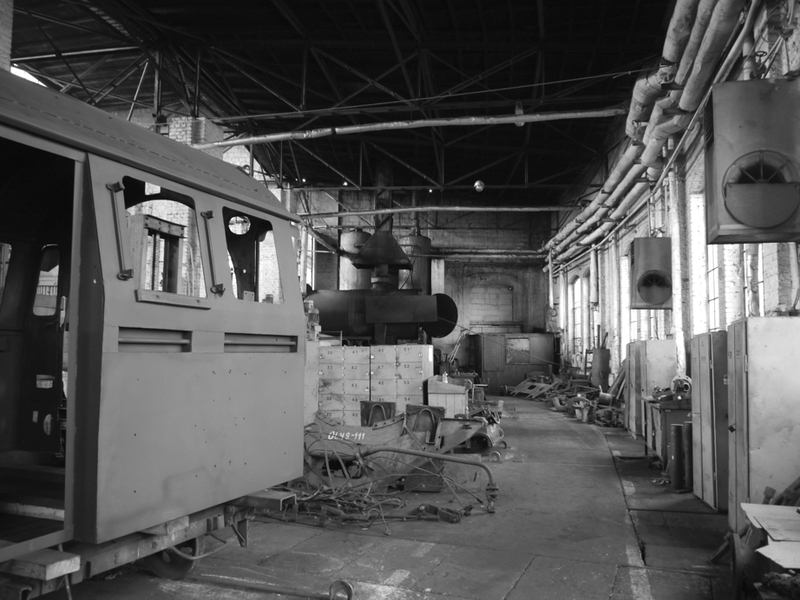 Over the years your office has taken a leading role in sustaining and developing Wielkopolska’s railway heritage. I understand that, even though this year no trains are running at Smigiel, your office has given the Town Council a 60,000 zloty grant towards the upkeep of the railway. Sadly there is very little evidence that it is being spent on the line itself. Perhaps it will be used to fund the ‘party’ the Council plans to hold on the occasion of the line’s 111th birthday? The above is a first draft of a letter that I and my friends will be sending to the Chief Executive of Wielkopolska Province. Please write and mail your own letters. Please do not copy the above letter exactly, but by all means use it as a base which you edit to reflect your own thoughts about the line. From many years past experience letters and faxes (which have a legal status) receive more consideration in Poland than e-mails. Both lines to the East of l.c. are now abandoned. Google Maps. Of late, the only operational part of this section was the 1km kept open as part of the standard gauge interchange to the East of the main line. 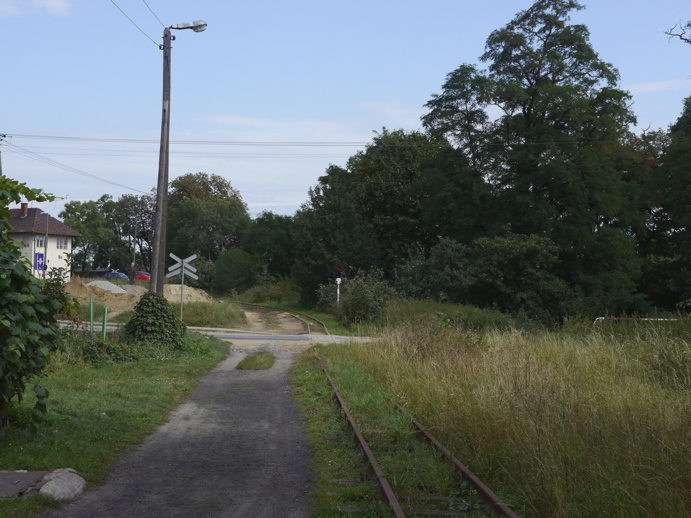 Smigiel Town Council have not only cut off the Smigiel Railway from its freight connection the outside world by filling-in the railway cutting to the interchange, they have decided to cut off its passenger connection as well by abandoning the section of line leading to the passenger station at Stare Bojanowo! This is vandalism that cannot be allowed to continue without making our protests heard! Writing to Smigiel Town Council will do no good – their collective heads are buried in the sand. We must take up the cudgels elsewhere! See tomorrow’s post for names and addresses for letter-writing targets and other ways of helping. From which film was this still taken? Five of our readers correctly identified the last picture as a still from the 1937 British comedy Oh Mr Porter! This very funny film starring Will Hay, Moore Marriott and Graham Moffatt, and directed by Marcel Varnel, is Will Hay’s best movie. 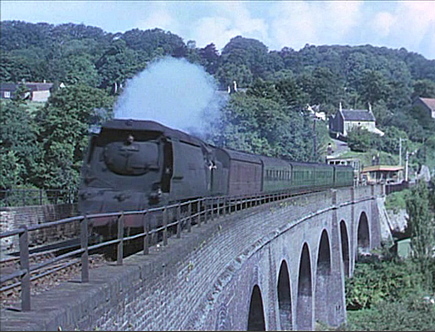 The plot was inspired by Arnold Ridley’s 1923 play The Ghost Train and the principal characters in the film – Porter, Albert and Harbottle – were in turn to inspire Jimmy Perry to create the characters of Captain Mainwaring, Corporal Jones and Private Pike in one of the BBC TV’s best-loved sitcoms, Dad’s Army. The circle closed when in 1968 Arnold Ridley appeared as Private Charles Godfrey in Dad’s Army. Alex Fitch, Mike Winslow, Jan Rapacz, Mike and Gavin Whitelaw submitted correct answers. Alex Fitch takes the point for being first to submit the correct answer. Today’s still is a tad more difficult. The film it is taken from is another well-loved comedy. It is less well known by British railway enthusiasts but is highly regarded by cineastes. Some of its hero’s mannerism were then copied many years later by the principal character of a modern British TV comedy series who is as well known in Poland as he is in the UK. 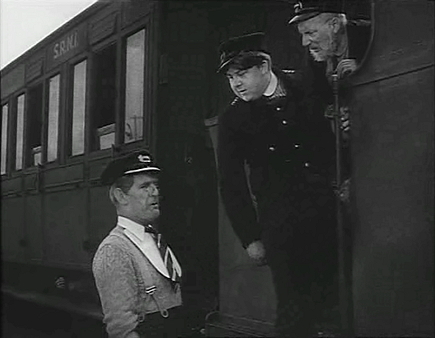 Another scene from Oh Mr Porter (left to right) – Will Hay as William Porter, Graham Moffatt as Albert and Moore Marriott as Harbottle. Amazon UK have two copies of the Oh Mr Porter! DVD for sale for £5:47 (postage free in the UK). If you purchase by clicking through the link below a small percentage will be credited to BTWT. The severed freight link. Photo Albert Mikolajczyk. at the station in Smigiel – from 15:00 to 18:00. Any comment by BTWT would be entirely superfluous. 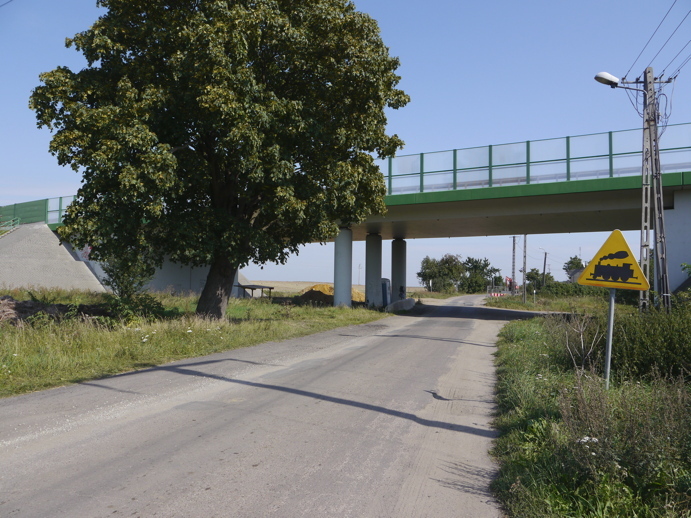 Even sadder are the photos posted by Albert Mikolajczyk of the ‘repair’ of the wooden bridge that used to straddle the erstwhile Krzywin branch at Stare Bojanowo. The new embankment cuts off the Smigiel Railway from the standard gauge interchange and kills off the possibility of any rail delivery of repaired locomotives and rolling stock. Since the Mayor and Deputy Major have little interest in the line. I suggest sending angry letters to the Chairman of Smigiel Town Council. I will post the contact details tomorrow. Our editors, who have been suffering from depression as a result of a never ending stream of bad news, have decided that it is time for some light-heated therapy. So, here is yet another competition. 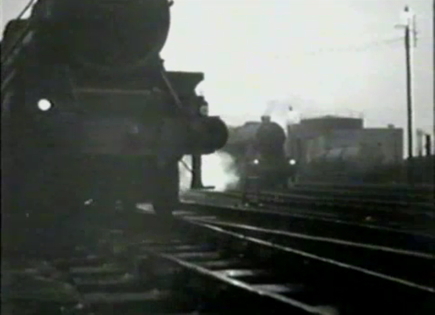 The first question is: From which film was this still – showing a locomotive being named – taken. To help our readers who hail from beyond the British Isles, and who may find some of the UK-made films a trifle obscure, some continental films have been included to help even their chances. This competition works on a ‘first-come, first served’ basis. There will be about a dozen film stills. The person who is first to answer the greatest number of questions is the winner. If the winner gets more than 50% of the answers right there may be a prize; if not, Dyspozytor gets to keep the bottle of Zubrowka! Cosmetically restored Ty2-5680 outside the Zabrze HQ of DB Schenker. Photo Marek Ciesielski.